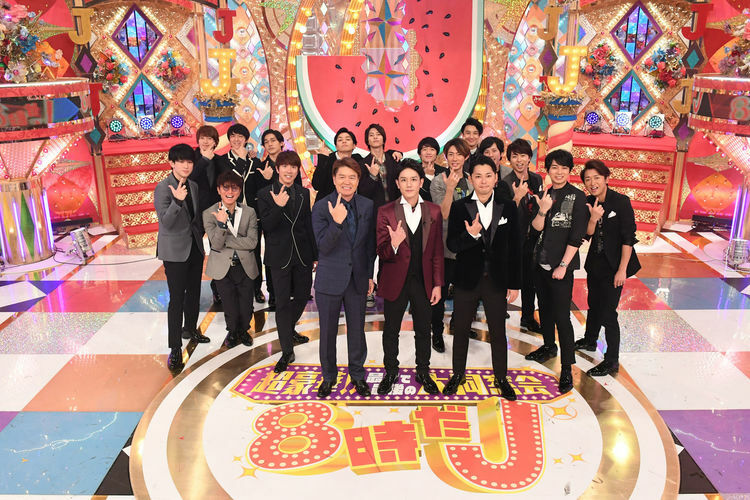 “8jida J” program revival: Takizawa Hideaki, Arashi, Kanjani8, Yamashita Tomohisa and More! “8jida J” will be revived for one night only December 29th (Saturday) at 20:54 as a special episode “Asahi 60th anniversary commemoration” Super luxury!! First and last big alumni association! “8jida J” was a popular primetime variety program aired from April 1998 to September 1999 and features about 60 Johnnys Jrs in every episode. It was hosted by Takizawa Hideaki and Hiromi. The reunion episode will be featuring a rare gathering of Johnnys alumni of the show. They were the juniors back then who have now become household names in Japan such as Arashi, Kanjani8, Yamashita Tomohisa, Ikuta Toma, Kazama Shunsuke and Hasegawa Jun. In this Comeback Special, they will look back at their Junior period in a quiz format. Takizwa will lead the Johnnys team who will be competing against a team of celebrities. Precious archive footage are expected to be presented. There will also be confessions on who they disliked at that time and wished to apologized to. In addition, Tackey & Tsubasa will be performing a special medley. Along with the duo’s performance at the upcoming Johnnys Countdown, this will mark the last stages for Tackey & Tsubasa as well as for Takizawa who will be retiring from entertainment activities at the end of the year.